Great news, folks! 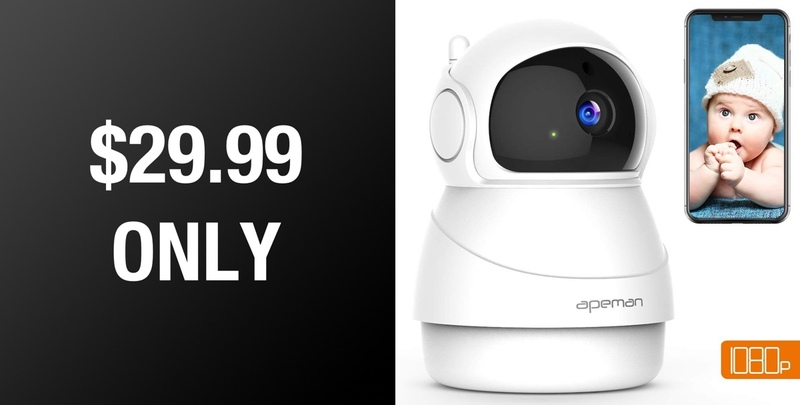 This useful home security camera complete with pan and tilt functionality as well as remote access is available to purchase for just $29.99. With an 80% satisfaction rating, this APEMAN hardware has proven extremely popular all over the world. APEMAN has managed to garner a name for itself in this particular industry for producing and selling reliable and feature-rich security hardware that instantly appeals to price-savvy home-owners. Granted, there is a growing number of home-owners who are investing at a higher-level in automated video camera systems that offer HomeKit or Alexa compatibility and which can be voice controlled. That market is growing on a monthly basis. But the market for this type of affordable system with remote access and a variety of appealing features continue to remain stable. This APEMAN hardware offers full 1080p HD video as well as an exceptional experience in low-light conditions thanks to the 9 built-in infrared LED lights. That means that you’re going to get crystal clear image quality and advanced night vision that allows you to keep an eye on your home day and night. And, thanks to the fact that it offers remote access, you’re also going to be able to control the camera and check-in on its feed from anywhere in the world. Whenever you want. Without any additional hassle or trouble. As long as it’s on and connected to WiFi, you can access it. Feature-wise, it offers motion detection, remote control, and even two-way talk. That means you can talk to your child or pet from wherever you are in the world. It also panning and tilting that allows the camera owner to adjust exactly what the camera is looking at with as much of the environment being captured as possible thanks to the wide-angle lens and the ability to view 360-degrees. 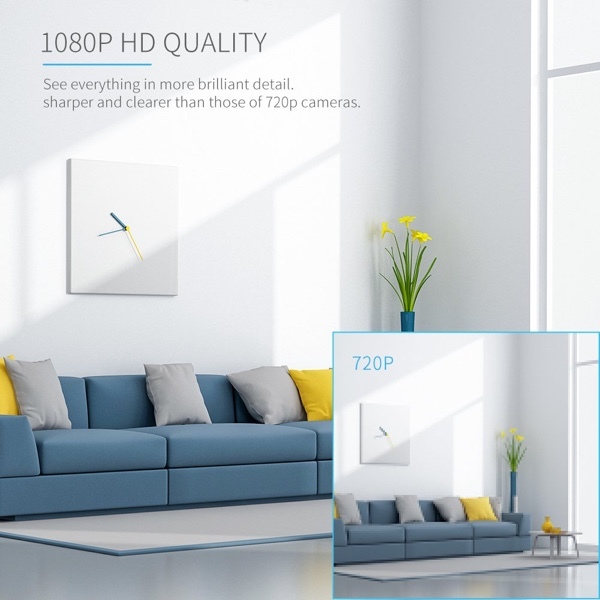 If you don’t want to have the cost of securing your home with something along the lines of Logitech’s Circle 2 Indoor/Outdoor camera but you definitely do want some peace of mind, then this hardware is definitely worth looking at. Check out the product link below as well as the discount code.